We are delighted to announce that our pupils, Sarah Fincham and Elin Hughes will be ‘on their feet’ from Monday 1st April. We are currently processing pupillage applications received via Pupillage Gateway and will be inviting those to be interviewed at the beginning of April. Congratulations to Bronach Gordon, Sophie Crampton, Elin Huges and Sarah Fincham for their appointments to the Metropolitan Police Legal Services Panel of Barristers dealing with Family Matters. 4 Brick Court is delighted to welcome Sophie Crampton as a Member of Chambers having successfully completed third six pupillage with us. Another fine addition to the 4BC family! 4 Brick Court warmly congratulates Jacqui Gilliatt on being ranked in Chambers UK Bar 2019. 4 Brick Court is delighted to welcome Bronach Gordon as a Member of Chambers having successfully competed her pupillage with us. Another fine addition to our name board! The ‘Battle of Ideas’ takes place this weekend at the London Barbican and barrister Judith Pepper of 4 Brick Court has been invited as a panel speaker. Chambers is delighted to announce that Sophie Crampton has joined chambers for 3rd six pupillage commencing Monday 8th October 2018. Sophie, who successfully completed her pupillage at Coram Chambers, has developed a practice in all areas of public and private child law cases and financial remedy matters. Please click here to view Sophie’s profile. Tahmina Rahman represents London Borough of Hackney before the Court of Appeal successfully appealing against a finding that the threshold for making a care order had not been made out. Chambers is delighted to welcome our two new pupils, Elin Hughes and Sarah Fincham who start in chambers today. Elin is under the supervision of Jacqui Gilliatt and Sarah is under the supervision of Jayne Harrill. Welcome both to the 4BC family! 4 Brick Court is delighted to announce that Bronach Gordon has been offered tenancy following successful completion of her pupillage at 4 Brick Court in October 2018. We are currently inviting applications for 3rd Six Pupillage. The successful candidates will need to demonstrate outstanding advocacy skills and a strong commitment to practising family law. If family law is your passion, you are organised and client-focused, we welcome hearing from you. Applications to be received no later than 12noon on Thursday 2nd August 2018. Interviews will be held in the first two weeks of August 2018. The first of two articles by Judith Pepper examining adoption, how it has changed and the current challenges posed within it. This article aims to provide a snapshot of the history of adoption and what the current system of adoption is. Judith’s article can be read here. We are currently inviting applications for tenancy from barristers of up to five years call. The successful candidates will need to demonstrate that they are outstanding advocates with a strong commitment to practising family law. 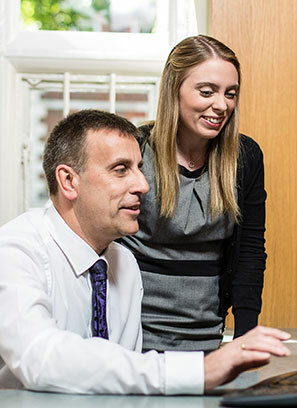 If family law is your passion, you are organised and client-focused then we would like to hear from you. Applications by way of CV and covering email. We are pleased to welcome Olivia Bliss and Alastair Miles Martey to Chambers.